Punch Drunk Comedy's opening night. 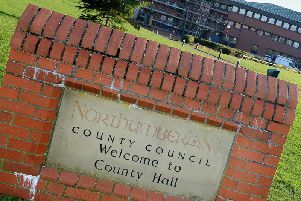 A Blyth resident is hoping the sound of laughter will help breathe new life into his local community. Gavin Humphries and his brother, stand-up comic Kai, have launched a new comedy night at Newsham Side Club in Winship Street. Punch-Drunk Comedy aims to bring the world’s best stand-up talent to Northumberland, as well as bringing the community back together. “In an age when we spend more time than ever before behind a keyboard, we want to bring the community spirit back to Blyth,” said Gavin. The comedy club has teamed up with Princess Ellie Trust, and it raised more than £480 on opening night. Tickets for the next show, on Tuesday, February 17, priced £7, are on sale now.